Over the years, the USPRE Polo has become an icon of the United States PRE Association symbolizing the sporty and competitive nature of our PRE owners and horses. From professional and amateur riders schooling their PREs in the best dressage arenas of the world...to breeders relaxing alongside the Morphology rings of Spain and California watching their champion bloodstock compete the USPRE Polo, produced by French retailer Vicomte-A, immediately identifies its wearers as part of the vibrant, winning USPRE community. Now, Vicomte-A has become the Official Garment Sponsor of USPRE, by way of a significant gift of polos and logo-ready sportswear for the members of our association. Vicomte-A Director Bertrand de Soultrait was on hand in the Wellington office to make the formal donation of several hundred items to USPRE officials. 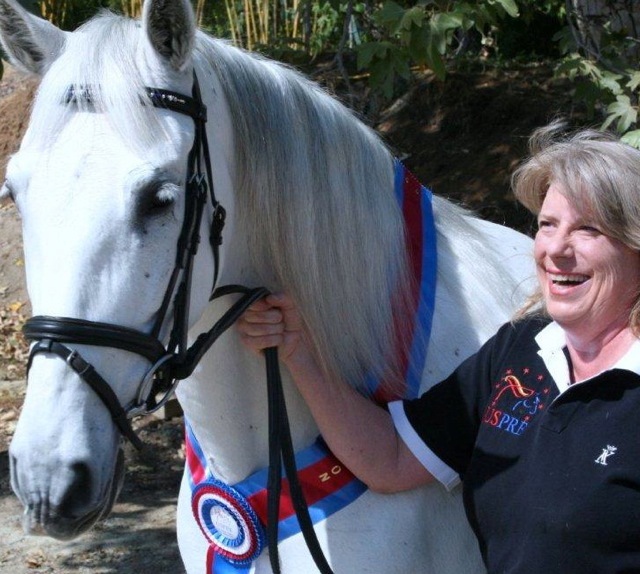 USPRE Executive Director Joan Mack said: "We wish to express our gratitude to Bertrand de Soultrait and Vicomte-A Corporation for this most generous gift to USPRE. The polos of Vicomte-A are the standard of sportswear in the equestrian community and we are delighted to have this opportunity to promote our horses and association in such high fashion." Vicomte-A was founded in 2005 and in its first year was awarded the contract to design and supply ties for the Paris bid to host the 2012 Olympic Games. In 2007, the first Vicomte-A boutiques were opened in Paris and Palm Beach, and in a short time the label began to appear on the jerseys of Polo teams across the world. In 2013, Vicomte-A is now in 44 countries. With 410 retailers selling the brand and 32 Vicomte A independent stores, the name has become synonymous with the equestrian lifestyle. 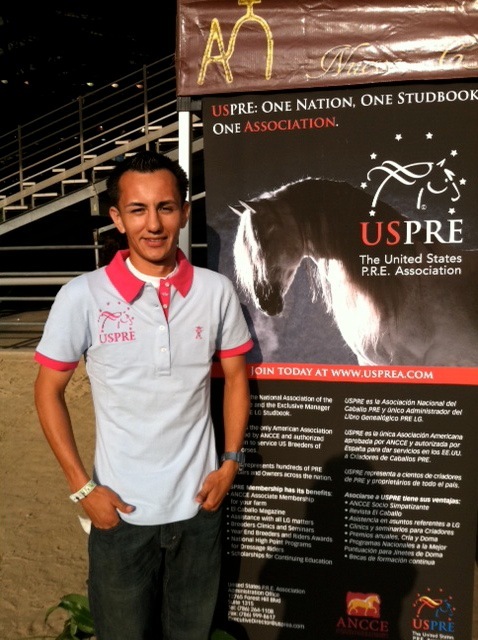 As a result of this generous gift, USPRE is able to make a special offer to Members Only: For a $20.00 donation, USPRE will send you a free Polo while supplies last (normally a $95.00 value). Non-members can purchase one through our website for $45.00. Please send an email with your size and color preferences to Ricardo Nigaglioni at ricardo@usprea.com. Your donation supports the educational and promotional work of USPRE and supports the American PRE Community through our various programs. Read more at www.usprea.com. 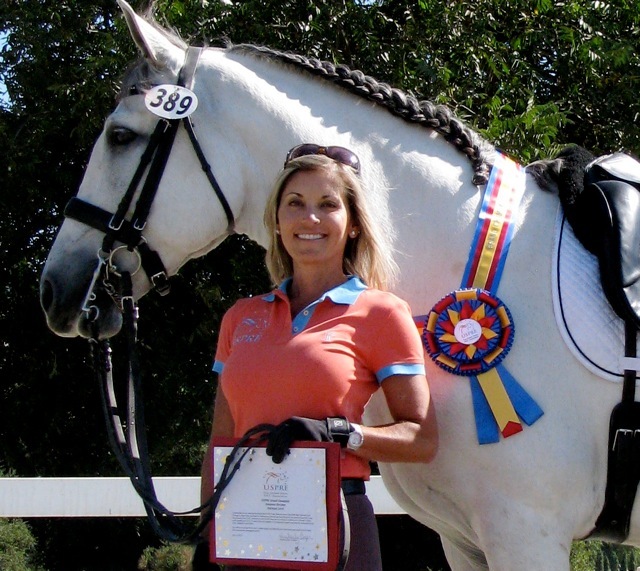 The United States PRE Association is the national breeders and owners association of PRE horses in the United States, and the exclusive manager of the PRE studbook of Spain for the United States and Canada. USPRE is a Florida Non-Profit Corporation (510C3).